In July 2004 Gizmodo and Engadget featured a tripod mount for single serving soda bottles (aka the 20oz and 24oz bottles here in the U.S.). I saw it and decided to make my own. 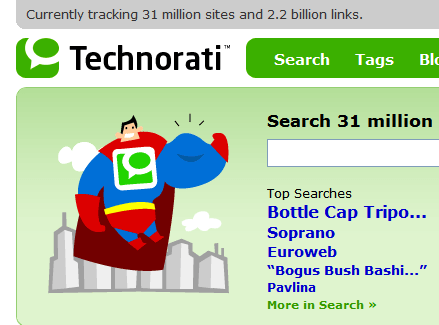 Almost two years later its in the April 2006 issue of Popular Science and hit #1 on Technorati’s Top Searches (see image below). I guessing this is in part because Popular Science misspelled my domain name as jakeluDDington.com instead of the proper spelling with a single ‘D’. Not to mention they linked to the main page of the site instead of linking to the actual Bottle Cap Tripod article. At the end of the day, I think it’s cool that I made it in to PopSci, but I really need to work on that whole spelling thing. 219 entries in Google, mostly made by people that know me, all spell my name wrong.